Adjustable Columns - Portland Stone Ware Co., Inc. 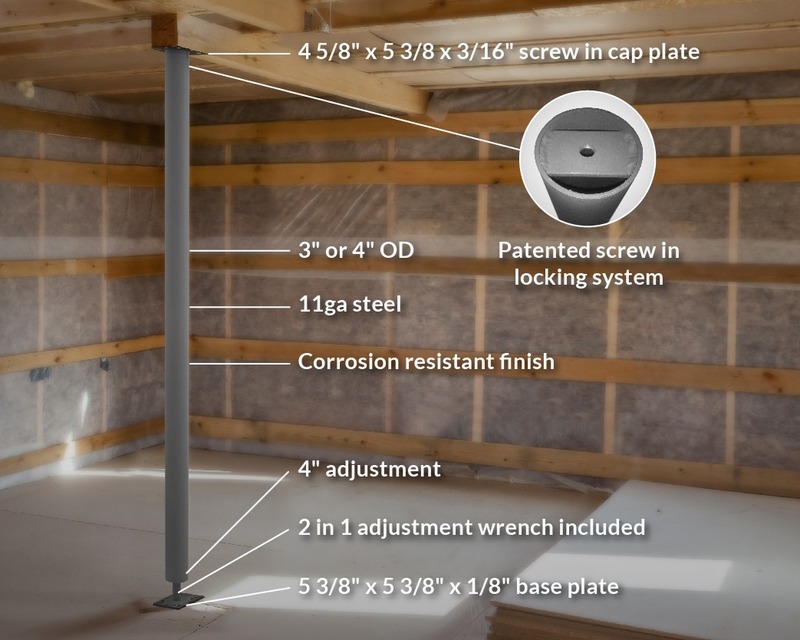 Designed with an embedded fastening unit in the top of the Lally Lock Adjustable Columns, these columns offer the ability to use different cap plates. 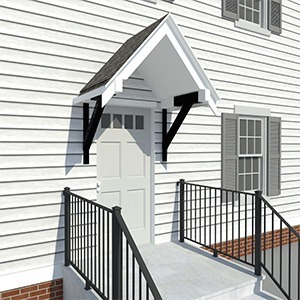 The adjustable columns come in 3” or 4” diameter, constructed using 11-gauge steel. 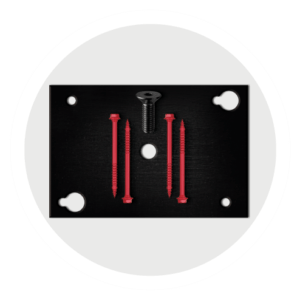 A 4 5/8” x 5 3/8” x 3/8” Standard Cap Plate comes with each column; however, it can be switched in the field for an interchangeable Lally Lock Beam or Saddle Plate. 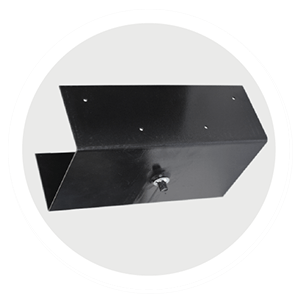 This allows an adjustable column to be used for an LVL or heavy weight load applications easily instead of waiting for a costly custom plate design. 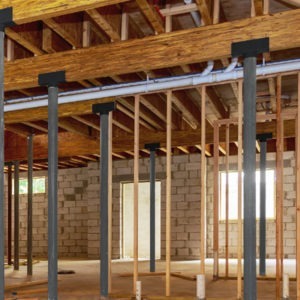 These adjustable columns have an easy adjustable base that allows an adjustment up to 4”. 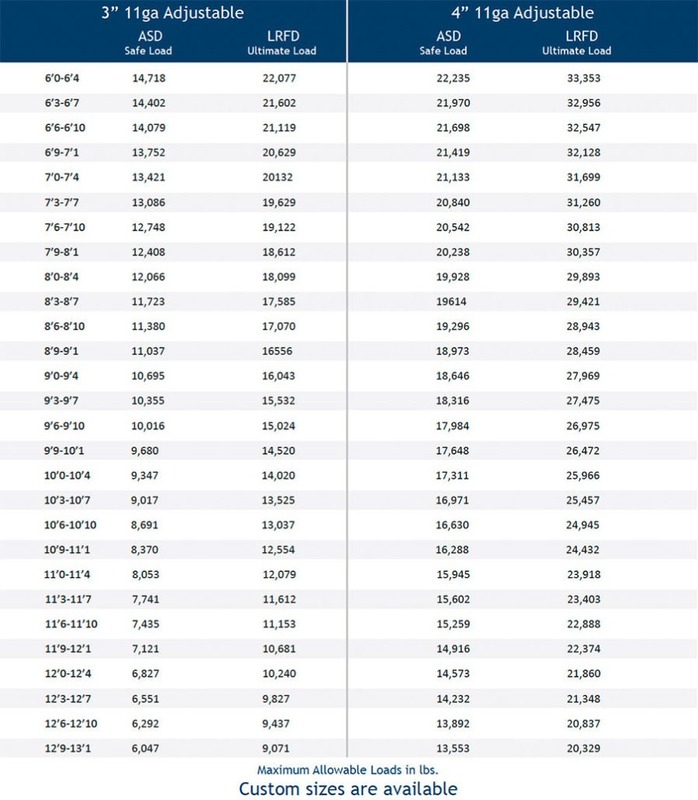 A 2 and 1 adjustment tool is included with the column. This tool has one end that is a wrench used for the base adjustment. The other end is an allen wrench for changing out the top plate. This plate is 4 5/8” x 5 3/8” x 3/16” made in 10-gauge steel. 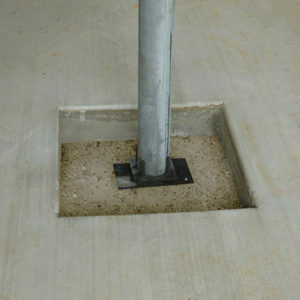 With a center sink hole, the plate screws into the column. 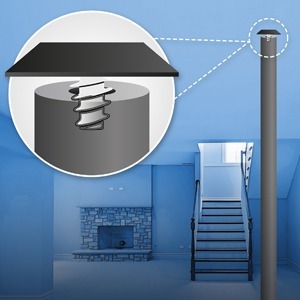 The plate has either one keyhole or one 3/8” hole located in each corner to attach the plate to the beam. Made from 1/4” low carbon steel. 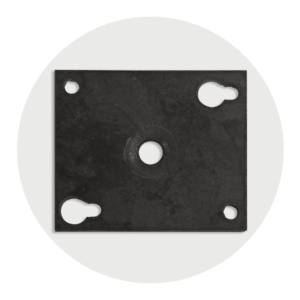 The plate has two keyholes and two 3/8” holes with a 19/32” counter sunk hole in the center of the plate to accept a 1/2” bolt. 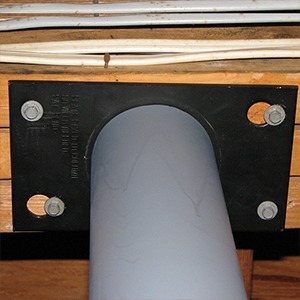 The plate can be used for a 3 1/2” or 4” column. Made from 12 gauge low carbon steel with eight 3/16” holes. 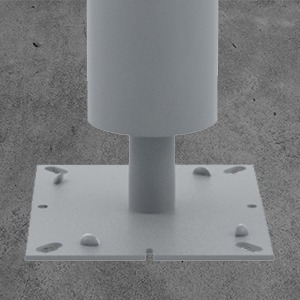 A specially designed hole and bolt to connect the plate to the column is located in the center of the plate.